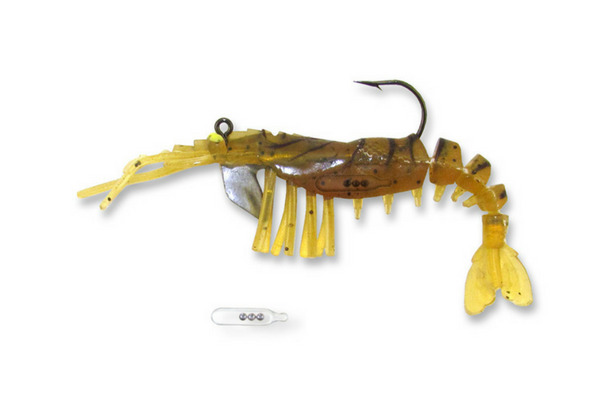 SPECIFICATIONS: 3.5 INCH WITH 1/4 OZ JIG PRE-RIGGED. 2 PER PACK. The Vudu Ratting Shrmip is a 3.5-inch model with a kangaroo-like belly pocket designed to hold an internal rattle. The internal rattle can also be removed if a quiet presentation is preferred. The empty pocket is also a great place to add some Vudu Sauce scent.